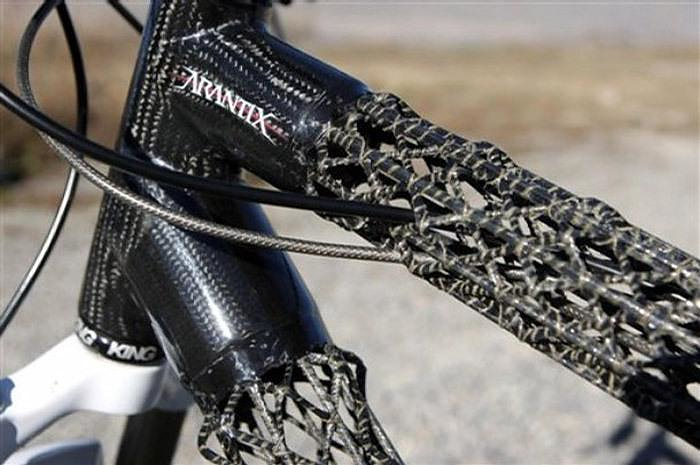 HomeBlogTechnologyDelta 7 Arantix and Ascend Carbon Fiber Bikes. 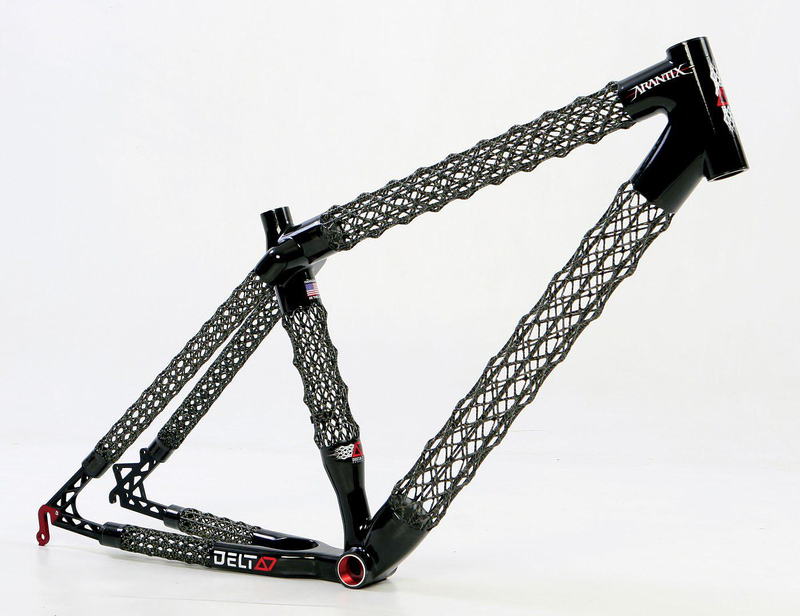 The Delta 7 Arantix (Mountain Bike) and Delta 7 Ascend (Road Bike) use IsoTruss technology carbon fiber and kevlar frames, that weigh in at a feather light 1.24kg and 1,05kg respectively. 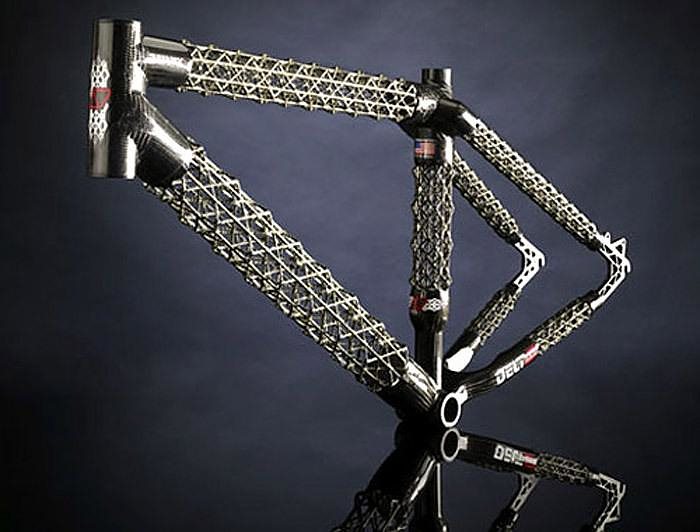 IsoTruss is a patented carbon fiber/Kevlar open-lattice tube design that was developed at Brigham Young University. The three-dimensional composite truss structure is one of the lightest and most efficient tube tubular structures available.The overall structure of an IsoTruss is a cage-like tubular lattice, formed by a series of intersecting triangles. When viewed in cross-section, the assembly appears as a symmetrical star shape. Open structure and very low material content makes IsoTruss an ideal choice when the requirements are low weight and high structural integrity. 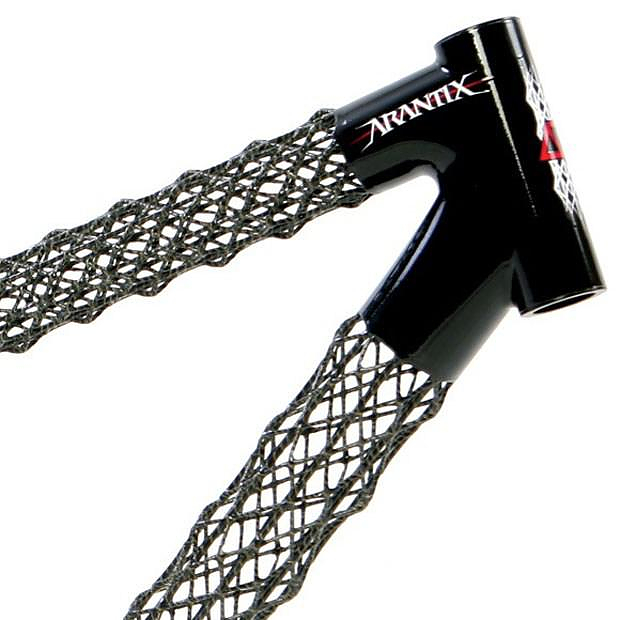 As amazing as the technology is, the Delta 7 Ascend road bike and the Delta 7 Arantix mountain bike are an ideal way of showcasing the advantages of this groundbreaking innovation. 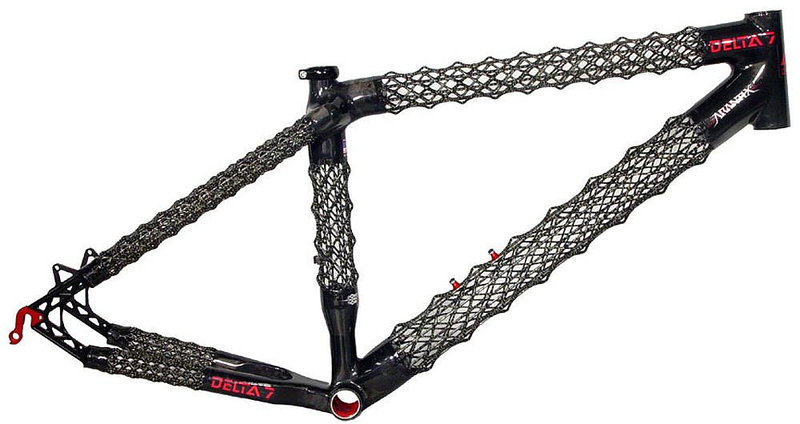 Once you see a Delta 7 bike you will remember it for a long time. 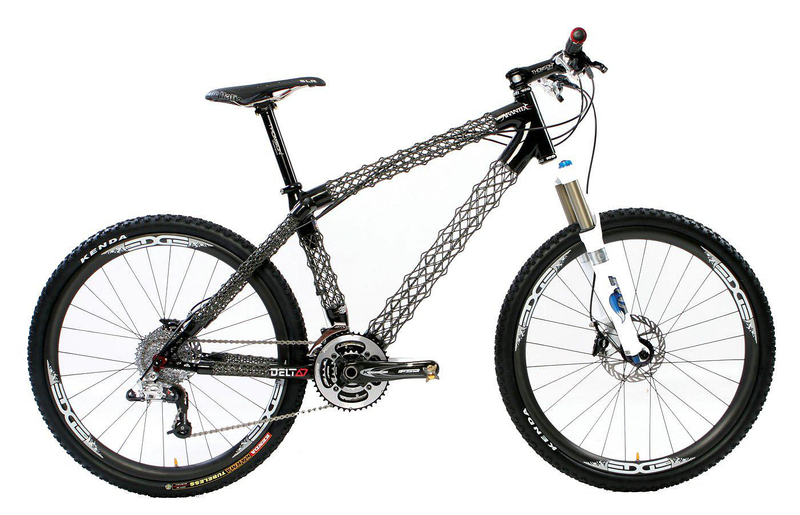 Its unique design is not only eye catching it also communicates visually the lightness of the bike. You immediately can tell that this bike is something very fast and very special. Another advantage of the IssoTruss technology is the impressive stiffness of the frame, combined with allover structural rigidity. The strength and stiffness of a tubular structure increases exponentially as its diameter is enlarged. 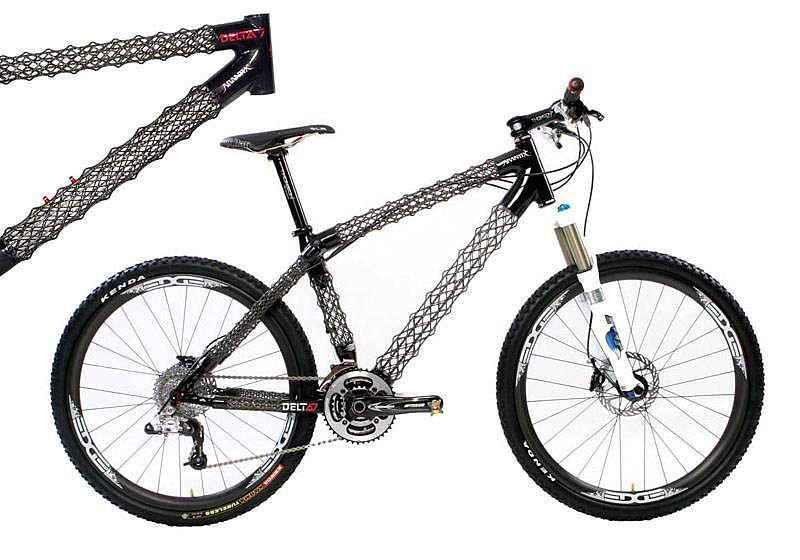 To achieve the lowest possible weight, it is a common practice for frame designers to boost the diameter of the frame tubes and then reduce the thickness of the material. This practice results in very fragile constructions which can be easily damaged. In many cases the carbon tube can easily be deflected even by a small rock. 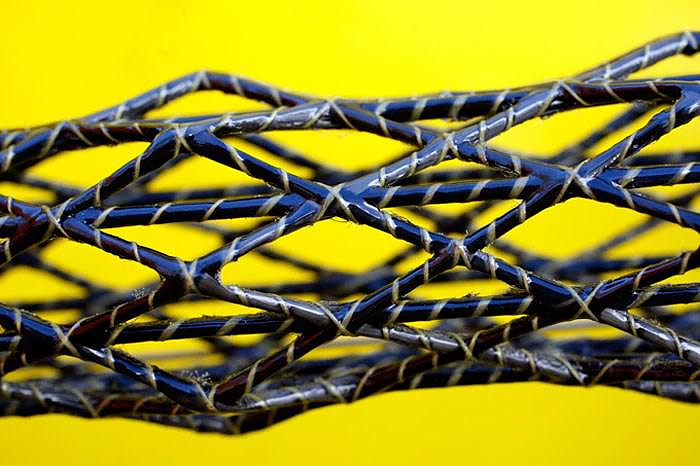 By redistributing the same amount of carbon fiber into a pyramid shaped three dimensional frame, IsoTruss technology can achieve the same strength and stiffness as a paper-thin tube of similar size. The thick, triangulated structure of the IsoTruss, however, can resist impacts and abrasion far better. 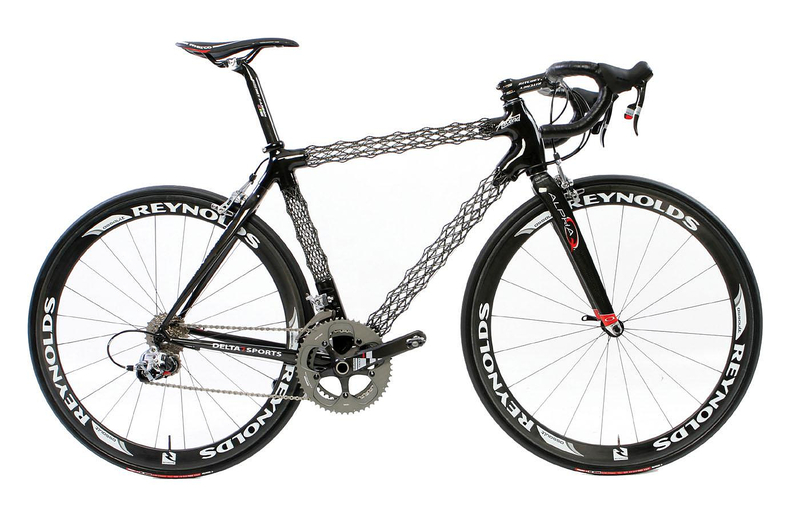 Composite Solutions is the exclusive licensee of IsoTruss technology, and Delta 7 is their cycling division A Delta 7 frame costs around $5000 while a complete bike loaded with top quality peripherals runs at $10,000. Moreover as it appears there are certainly possibilities for automotive use of this technology and we are looking forward to see more applications.